From home, with all the comfort, or from any location. Simply with an internet connection you can access the most important lottery games in the world thanks to LottoHoy. 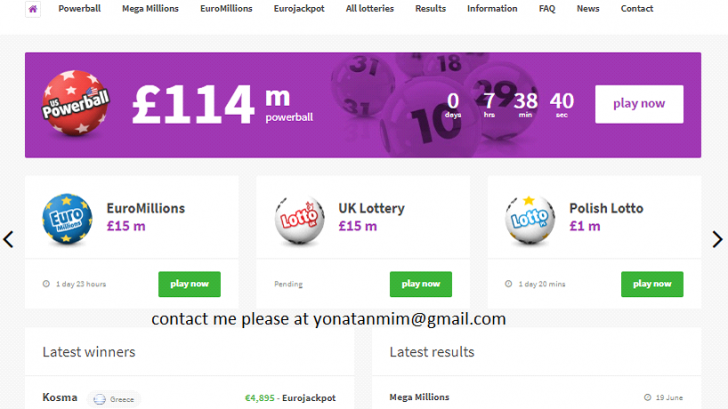 LottoHoy is a young company, but they have lots of experience and professionalism in the gaming industry and online marketing. Its services and games increase every day. Currently their site is in English, Spanish and Russian and little by little, other languages ​​will be added to the offer in order to get that information to players who feel more comfortable in their own language. A clean and easy to understand website has been designed. It can be accessed from mobile devices on iOS and Android, desktops and tablets. 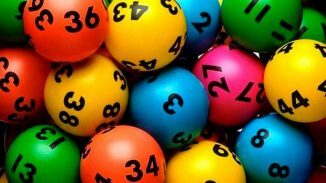 LottoHoy.com, is a 100% secure platform. All transactions are governed by security protocols with 256-bit A + SSL Certificates to protect the exchange of electronic information. Customers can make their lottery purchases in a timely manner or make a deposit in their user account (advisable), to have balance in future purchases. All purchases are confirmed via eMail. The prizes won are immediately credited to the client’s account and from that moment available for withdrawal. La Primitiva, Bono Loto and Gordo de la Primitiva. It does not obligate to buy tickets in batches. The client can choose to play a simple line or bet, or as many lines as he wants. In the game screen of each lottery, you have 5 game columns that can be duplicated by clicking on the MORE LINES box. In case you want to play more columns in the same draw, simply complete the first 8 or 10 rows (depending on the lottery) confirm and return to the same screen to fill in as many columns. The number selection can be done manually by marking the desired boxes, or by letting the system itself generate the combination randomly. Perhaps the most important advantage is the price of the bet. Possibly the lowest price of all similar platforms. LottoHoy accepts multiple payment methods to ensure that all players can easily access and participate in the games. Each user can choose between different payment methods as credit / debit cards, VISA, MasterCard, Skrill, Neteller. It also offers other innovative methods such as Piastrix, entercash, ecoPayz, paysafecard, entropay, PayPal, Bitcoins and other cryptocurrencies. The biggest bonus is to keep reasonable prices, even below other competitors. In addition, they have a wide offer of exclusive promotions. So if you are a registered player you will receive the offers directly in your email. As they told us, they do not believe that all users are the same, so they prefer to create personalized promotions. You can visit the FAQ’s section, where you can surely find an answer to any question that may arise. But if this is not enough, they can attend you through chat or email to resolve doubts with a 24/7 attention 365 days a year.